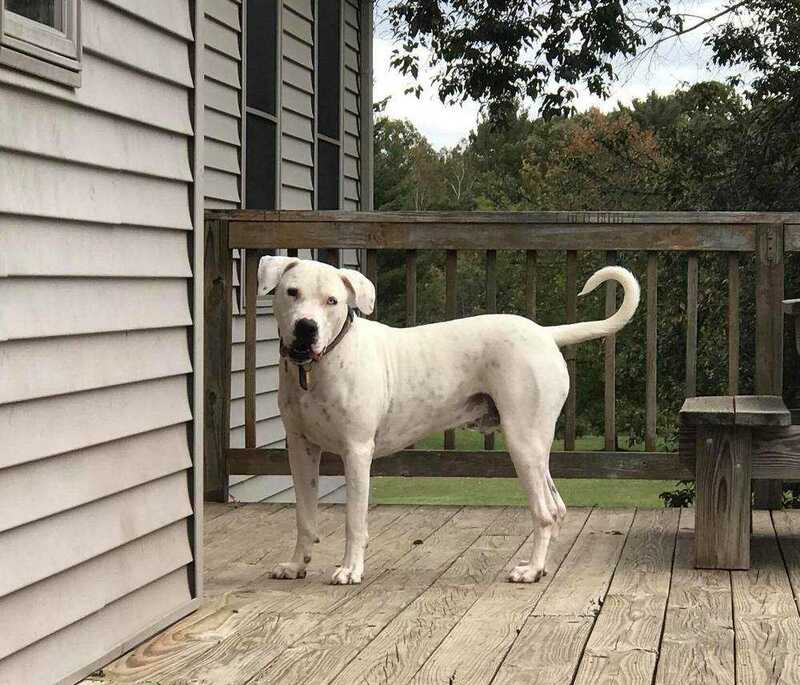 Boyd is a handsome 1.5 year old playful male dogo argentino that currently lives near Flint, MI. He needs a loving active home where he can shine and be loved on regularly. Boyd loves adventure and spending quality time with his people and absolutely LOVES being the center of attention. He knows all basic obedience and loves to learn. He is working hard to walk better on a leash too but still needs some work, easily accomplished with repetition and reinforcement. He would make a fantastic jogging or hiking partner plus he really loves car rides as well. He does so much better in a home setting and is going backwords in a kennel/boarding environment. We are seeking a foster or adopter for him in effort to keep him happy and in a place he will thrive. If you can give him this opportunity please let us know, transportation will be provided. Last year Boyd somehow found is way to a woman's porch in the California desert and eventually found a couple to help take care of him. Currently he is learning manners and continuing socialization with one of our trainers. She says he is a very active boy and would need an active home ready to take him out to explore and play fetc on a very regular basis. Boyd is a good boy but like many dogos, he needs an alpha owner that will continue with the training that dogos need the first few years. He absolutely loves to play fetch so his new human must enjoy this hobby as well! He loves being inside, but spends most of his time outdoors. His current humans say he is sweet and very playful so his new family must have the time and energy to fulfull his fun lifestyle. Boyd used to do well with male and femaled dogs and may do well with them again in a home setting. We think a no dog and no kid home is best for him at this time. We would consider a female dog home for him for the right applicant.